The 2 WEEKEND INTENSIVE training offers both in person and online, independent studying. Perfect for the motivated person with limited time to spend in the classroom! 2 weekends with Deb and Caprice. 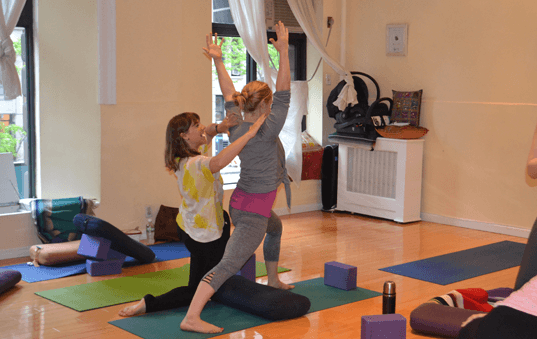 Take and teach prenatal yoga classes with the pregnant community. Deep exploration of the anatomical and physiological changes of the pregnant body. Review structuring a prenatal class and poses to do and not to do. 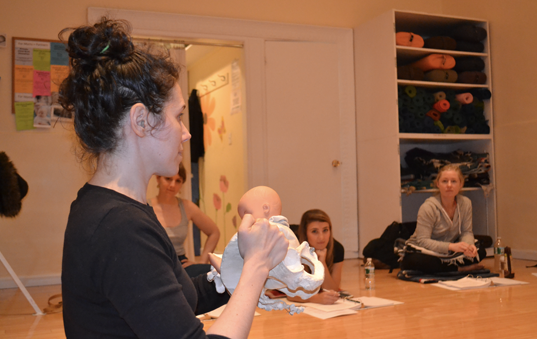 Hand-on adjustments for the pregnant student. Teacher Trainees will teach two community classes. 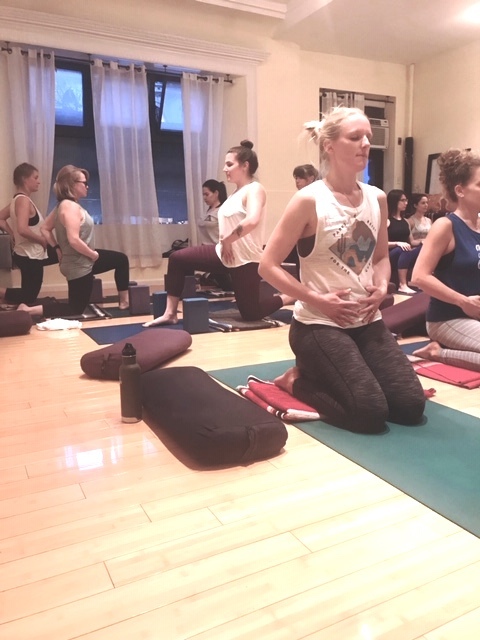 Complete the practical portion of your final exam, teaching a 75 minute prenatal yoga class with at least 3 pregnant women. This class must be recorded and shared with Deb and Caprice for grading. 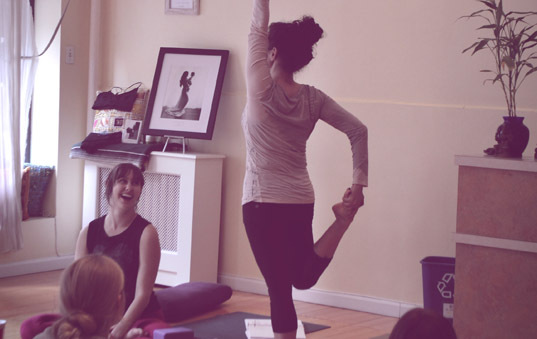 All current Yoga Alliance members who complete the 85 hour training are eligible for the RPYT (Registered Prenatal Yoga Teacher) designation from the Yoga Alliance. 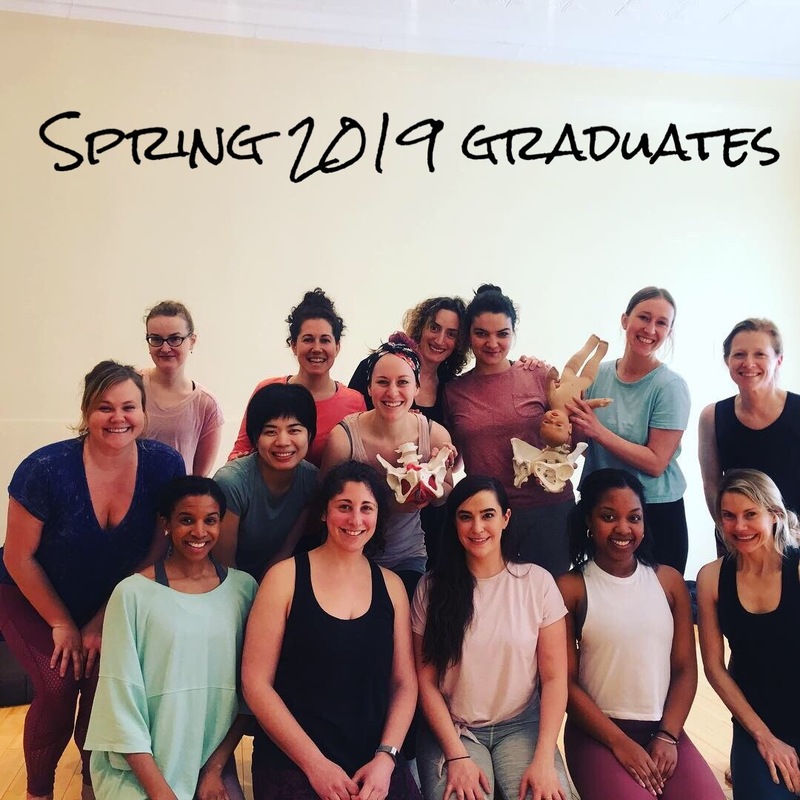 In addition to completing the required 85 hour training, PYC Teacher Training graduates must complete 30 additional hours of prenatal yoga teaching. A non-refundable deposit of $550 is required to hold your space in the program. The balance is due according to the tuition policy. We accept cash, checks, Visa, MasterCard and Amex. Refunds are available up to three weeks before the training begins minus your deposit. The beginning of the training is marked by receiving access to the membership website which contains the manual and corresponding videos. After this time NO refund or credit will be given if you decide not to attend. Should you cancel your spot, the $550 deposit cannot be applied to a future training. We welcome pregnant students! However, if your due date falls before the final exam or if your current work or life leaves little time for extracurricular activities, we strongly urge you to take the training later, when you have more time to devote to the coursework. Due to the nature of the Teacher Training, we cannot accommodate missed modules. Both weekend intensives need to be attended to complete the program. To Be Eligible To Teach At PYC, You MUST Be Certified Through This Program. Want to apply for Teacher Training? Prenatal Yoga Center is available for an 85 hour training, a weekend training, and pre/postnatal retreats. 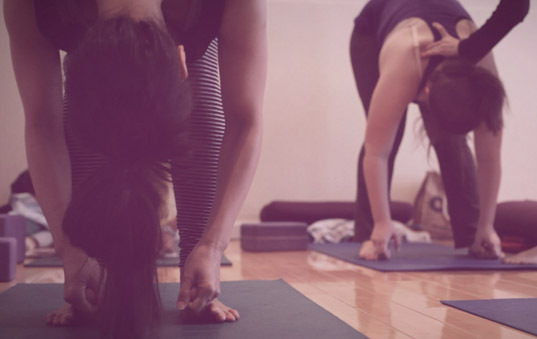 Stay up to date on Teacher Trainings, Prenatal Yoga Workshops and Podcast.